The Emperor Justinian reunified Rome's fractured empire by defeating the Goths and Vandals who had separated Italy, Spain, and North Africa from imperial rule. At his capital in Constantinople, he built the world's most beautiful building, married its most powerful empress, and wrote its most enduring legal code, seemingly restoring Rome's fortunes for the next 500 years. Then, in the summer of 542, he encountered a flea. 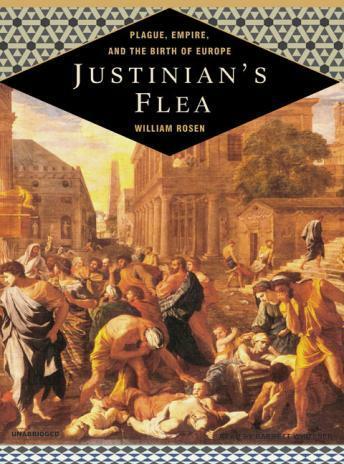 The ensuing outbreak of bubonic plague killed 5,000 people a day in Constantinople and nearly killed Justinian himself. Weaving together evolutionary microbiology, economics, military strategy, ecology, and ancient and modern medicine, William Rosen offers a sweeping narrative of one of the great hinge moments in history, one that will appeal to readers of John Kelly's The Great Mortality, John Barry's The Great Influenza, and Jared Diamond's Collapse.